Motorists had a brief break from high gas prices shortly after Labor Day, but they’ve been on the rise for the past couple of weeks. Oil prices increased for the second week in a row, keeping a barrel of oil above $80 after the Group-20 (G-20) and European leaders began discussion to draft a plan to resolve the European debt crisis. The new plan’s completion date is set for the last week of October, with a review by the G-20 scheduled for the first of November. The market reacted to talks of a plan to resolve Europe’s debt issues and received additional upward momentum from a Commerce Department report that showed U.S. retail sales increased 1.1 percent last month. Crude oil settled Friday at $86.80 a barrel on the New York Mercantile Exchange — $3.22 more than the week prior. “The market has waited more than a month for a piece of positive news to latch onto and drive oil prices higher,” AAA Auto Club spokeswoman Jessica Brady stated in a press release. Increase they did, about 6 cents, according to AAA data. The company’s Daily Fuel Gauage Report recorded Nashville-area gas prices at $3.31, up from $3.25 the week prior. That increase may not seem like much until compared with $2.70 gas prices a year ago. It’s also not far from the highest price of $4.13 that was recorded in mid-September 2008. Those numbers are expected to continue increased, following the death of deposed Libyan leader Moammar Gadhafi last week. The Lubbock Avalanche-Journal quoted Ambassador Tibor Nagy as having said Gadhafi’s death could bring regional instability in North Africa, which in turn could mean higher gas prices for those in the United States. Nagy served as the U.S. ambassador to Guinea from 1996 to 1999 and Ethiopia from 1999 to 2002, according to the article. He is now the vice provost for international affairs at Texas Tech. Regional instability could have far-reaching effects, reported the Lubbock Avalanche-Journal. 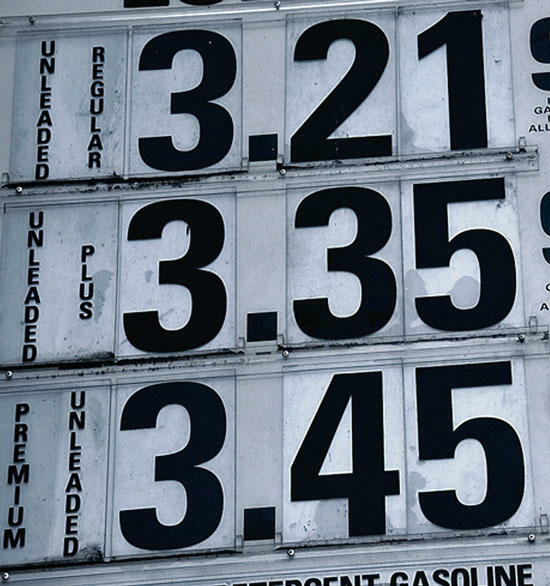 “If things go south, then watch out what happens to gas prices again,” Nagy warned. The national average price of regular unleaded gasoline is $3.45 per gallon, 6 cents more than last week. Florida’s average price of $3.42 increased 7 cents last week, while Georgia’s average price of $3.34 jumped 10 cents. Tennessee’s average price of $3.27 also increased 7 cents from last week, respectively.